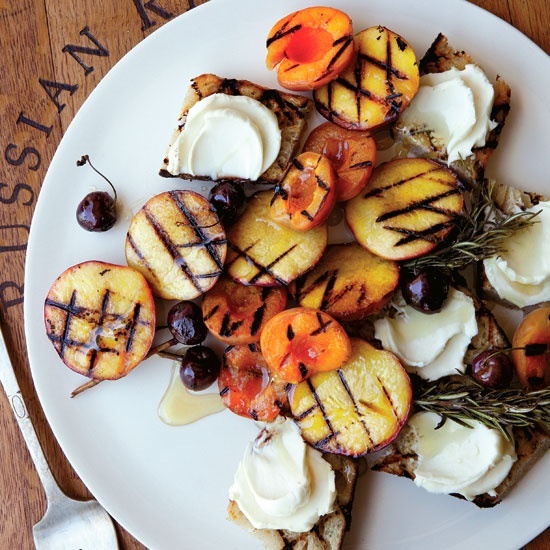 grilled fruit bruschetta. I'd do it. Happy weekend everyone. We're looking at 70's (or 80's!) and sunny here, so grilling is a must. I LOVE grilled peaches and pineapple, any type of seafood, ONIONS, and kabob everything. My healthier side is all about these grilled salads, my less-healthier side is all about these grilled desserts. I deeply enjoyed reading this: art is a waste of time. Despite the sensationalist title/description, it's actually well-written and includes one of the most tolerant and curious comment sections I've ever seen. Read it (thanks K). Like Airbnb? Then you'll love Airpnp. Not joking. D and I listened to this together a week or two ago, and I think got a lot out of it. Habit and routine can be very strong. THERE'S A NEW VITAMIX IN TOWN everybody freak out. AHHHH KELLY CLARKSON! A funny (to me anyway) video in support of testicular cancer. D, watch this, no doubt you'll be cringing. Oooh...I really like this art series. Called Oooh. I want to play with them. They make me think of this.